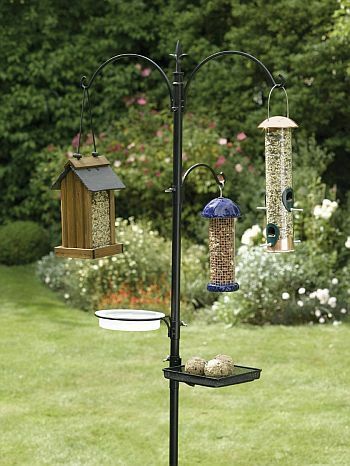 Pole bird feeders are a great addition to any bird lovers garden! As much as I love all wild life, I get tired of my feathered friends taking a back seat to squirrels and deer and other bigger and tougher garden visitors. I have found that using the right pole mounted bird feeder pretty much solves the problem. You have to be sure that your pole feeder is squirrel proof. Using bird feeder pole baffles make sure that those agile critters just cannot get to the bird feeder. Place your pole away from tree branches or other spots from where squirrels can jump onto your feeder. Choose poles made from durable, weather-treated material. You may have to reinforce your pole mounted bird feeder if you live in a very windy area. If you are looking for a pole feeder that contains everything you need to get a bird feeder going in your garden, you should try this one. 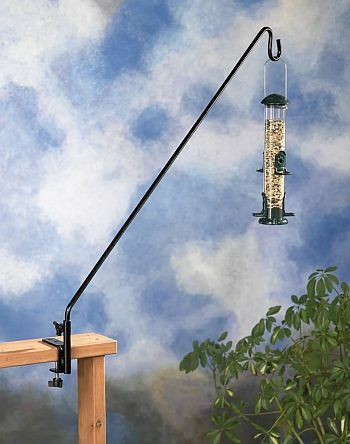 It comes with 2 hooks, a decorative finial, bird bath in a supporting ring, a small feeder hook with a mesh feeder tray, and of course, a heavy duty feeder pole. You can use all the hooks, or remove the ones that you don’t need. Might need to stabilise the pole if strong wind is a problem. 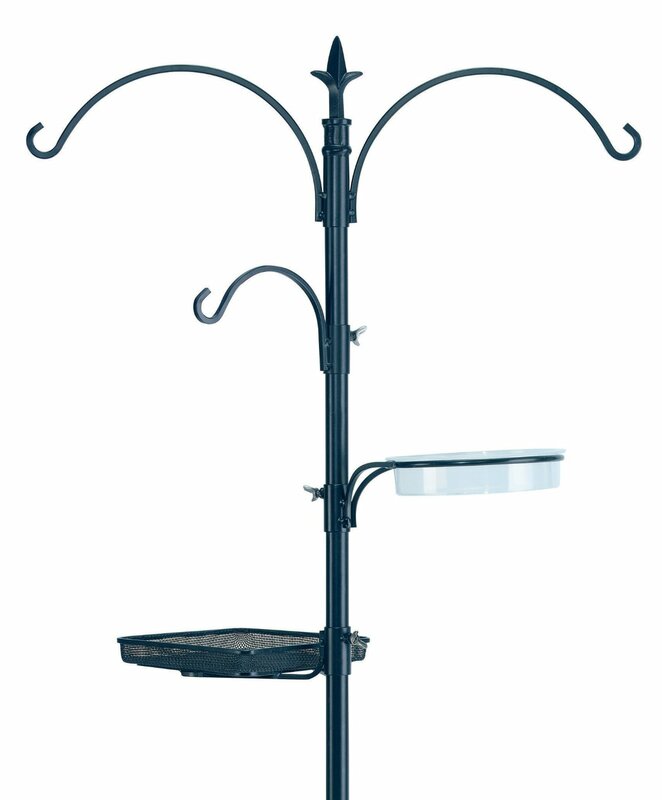 This 36 inch pole allows you to have a safe feeding station for birds, but close enough for perfect viewing. Attach to your deck railing. Keeps the deck clean and keeps the birds close by. The easy swing arm and length of the pole make for easy cleaning and filling. Sturdy, and made from strong material. Stays secure in the wind. I love it!.